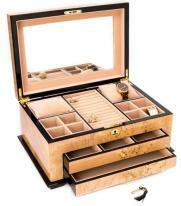 When you want to give a gift that will last, choose a luxury chest crafted to protect fine jewelry through generations of use. 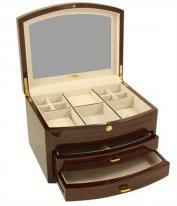 Handcrafted with care and hand lined to cushion and protect all types of jewelry, a luxury chest makes an unforgettable gift and is the perfect for all occasions from weddings and anniversaries to birthdays and graduations. 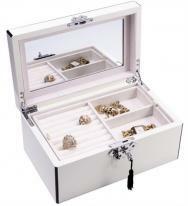 Keep fine jewelry in an equally fine luxury jewelry chest. 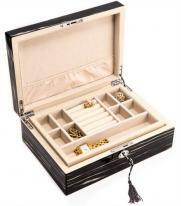 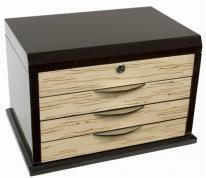 Choose from the best traditional to exotic luxury boxes and chests.